I am amazed at how quickly we have reached the end of 2018. We recently enjoyed our time-honored holiday traditions—the annual Christmas Concert with more than 200 University musicians, Christmas Vespers in Parker Chapel, and Christmas on Oakmont. Final exams will soon be over, and winter commencement will take place on Saturday, Dec. 15. As the year comes to a close, I think back on 2018 as a year with many significant accomplishments. 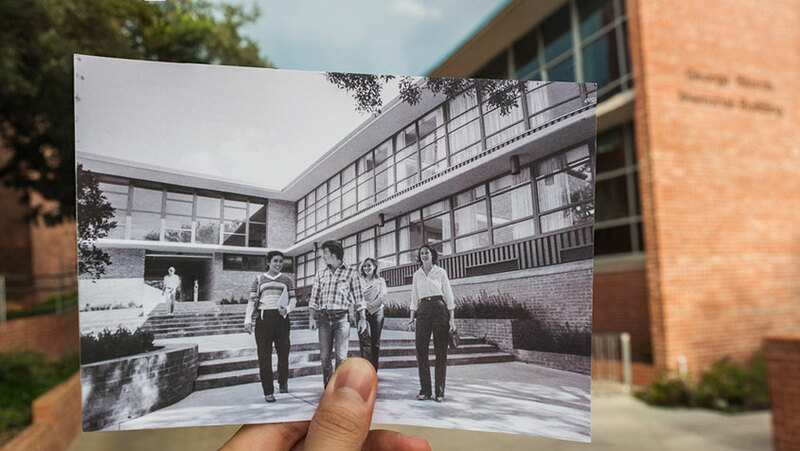 For example, in late spring, Trinity was designated a National Historic District by the National Register of Historic Places, which comes at a time when the University is embarking on a renovation of the Chapman Center and Halsell Center. This renovation is part of Trinity's Campus Master Plan, honoring the University’s architectural legacy and its academic mission. We will begin this project as soon as fundraising is complete. Earlier this fall we were proud to welcome the Class of 2022, our largest and one of our most accomplished. This class had 8,629 applicants and the admit rate—34 percent—was the lowest in recorded Trinity history. Our admissions gains are a testament to the caliber of students Trinity attracts. And through the generosity of our Trinity community, we had one of our most successful fundraising efforts with the 1869 Challenge. We raised more than $500,000, a record-breaking amount in 1,869 minutes that will help ensure that Trinity's students have what they need to be successful in their education and in their careers. In 2019, we look forward to commemorating Trinity's 150th anniversary. Next year will be a time of celebration and reflection for an institution that nurtures curiosity, drives innovation, and instills a passion for lifelong learning. 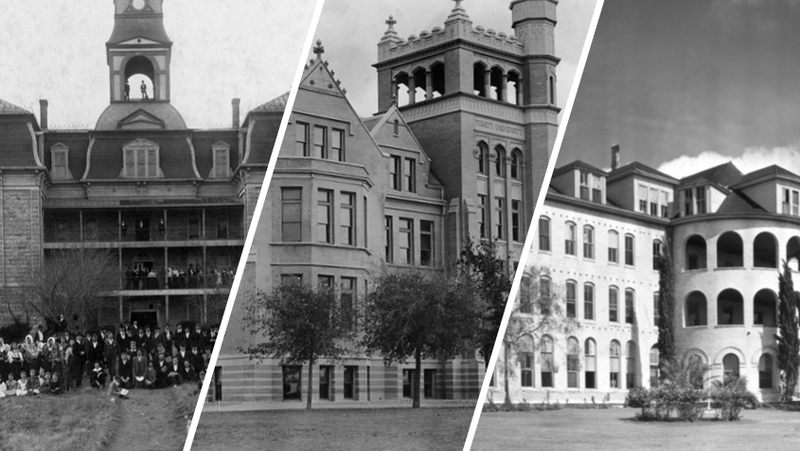 As heirs of the past and stewards of the future, it will be a time for our community to share stories of our enterprising faculty, students, and alumni as well as the traditions that have made Trinity the world-class University it is today. More specifically, we hope you will sign up for our 150th Anniversary Kick-Off, which includes a day of service to our communities and an evening of celebration on campus. 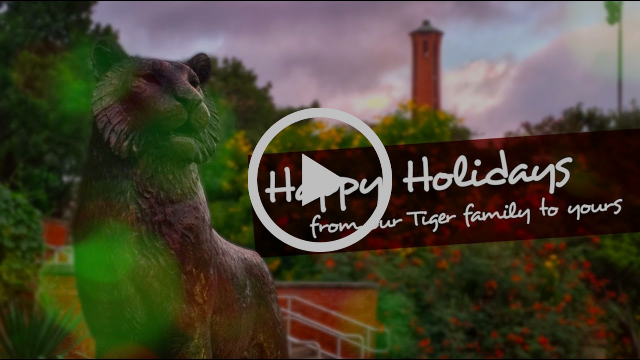 As we bring this year and semester to a close, I wish you a joyous holiday season and peace in the new year. Merry Christmas, Happy Holidays, and Happy New Year! As Trinity's chief storyteller, I love to share news about the University. But I also love hearing from you. Please feel free to contact me at TUPresident@trinity.edu. Also, follow me on Twitter @TU_President19 or follow conversations on my website at president.trinity.edu.